The Plumbing & Mechanical Services (UK) Industry Pension Scheme is a career average scheme which provides benefits on retirement and also on death. You build up benefits based on your salary for each year you are a contributing member, and each year your benefits receive bonuses until you retire. The Scheme aims to increase pensions in payment each year in line with price inflation when there are sufficient funds to do so. Protection is also given to those who leave contributory membership, with their benefits being treated no less favourably than those who continue contributing. View our Scheme Guide or our Summary of the Scheme’s Benefit Scales for more details. The Scheme is open to ALL employees within the plumbing and mechanical services industry including office staff and other trades employed by a plumbing company. It is not open to the self-employed although it can include directors of a “limited” company. If you are employed in the Plumbing Industry and are aged 16 or over but are under age 65 and your employer currently participates in the Scheme then you are eligible to join the Scheme. If you wish to take up scheme membership you should approach your employer in the first instance. As the Scheme is a group arrangement contributions must be made by both employer and employee, so membership can only be confirmed if your employer is willing to contribute also. You contribute a fixed percentage of Earnings. The contribution rates vary between Benefit Scales. You receive tax relief on your pension contributions. Employers contribute twice your contribution rate. The Scheme’s contribution rates are set out in the table below. If your employer operates a salary sacrifice scheme for pension contributions, your employer will pay your pension contributions for you. Your pay is reduced by the amount of pension contributions paid for you. Your benefits are calculated on your full earnings before the sacrifice. A new Benefit Scale was introduced in April 2017. Click here for a list of frequently asked questions about the new 2017 Benefit Scale. You can change benefit scales with the agreement of your Employer. If you change benefit scales, the pension credit you earned before you changed scales will not be affected. Benefits start to accrue from the date of joining the pension scheme, there is no waiting period. At the end of each scheme year you will be granted pension credits equal to a certain percentage of your earnings, in most cases 1.25% equating to 1/80th salary for each year of service. These credits have bonus additions added annually which effectively “inflation proof” their value. On retirement a pension equal to the total value of credits + bonuses accrued throughout service is payable. If you have 40 years service this will give an annual pension of approximately half (i.e. 40/80ths) of your salary during your career. The Benefits Department will contact you shortly before your Normal Retirement Date to explain your retirement options. On retirement you have the option to “give up” some of your pension in return for a lump sum cash benefit. Depending on the value of potential benefits held elsewhere, all or part of this lump sum would be tax-free. If you have a small pension, you may be able to exchange all of your pension credits for a single cash lump sum. If while you are a contributing member you die in service before retirement, there will be a lump sum payment made based on a multiple of your pensionable earnings before you died. The lump sum will be paid at Trustee discretion to an entitled beneficiary or beneficiaries. You are asked to complete an Expression of Wish Form and keep it up to date, to help the Trustee understand who you would like to receive any lump sum benefit due after your death. Although not binding, the Trustee will take this into account when deciding who will receive the death benefits and will make every effort to meet your wishes where possible. If you are a deferred member and die before Normal Retirement Age, the lump sum death benefit payable will be equal to the total pension contributions you paid to the Scheme with interest. For any period where you build up benefits on the 2017 Benefit Scale, no spouse’s, civil partner’s, dependant’s or children’s pensions are payable. If you are on the other benefits scales and you die whilst actively contributing to the Scheme, leaving a spouse or civil partner, a pension equal to 50% of your pension that you would have received had you reached Normal Retirement Age the day before the date of death will be payable. If you die whilst no longer contributing to the Scheme and before you start to draw your pension, the pension paid to a spouse or civil partner will be equal to 50% of your total preserved pension at the date of death. If there is no surviving spouse or civil partner, the Trustee may decide to pay a pension to one or more dependants. The amount payable would be at the discretion of the Trustee. Children’s pensions may also be payable. Each year before retirement you will receive a Certificate of Pension Credits. This shows the amount of your annual pension, including bonuses, as at 5th April in that year. An example certificate is available to view here. If you leave the Scheme with less than three months’ service you will receive a refund of your contributions, less a deduction for tax. You will not be entitled to any further benefits from the Scheme. If you leave the Scheme with at least three months’ service, your pension credits will be preserved for you and will continue to increase annually with bonuses. You may be able to transfer the pension credits you built up in the Scheme to another pensions arrangement, for example, into a new employer’s pension plan or personal pension. 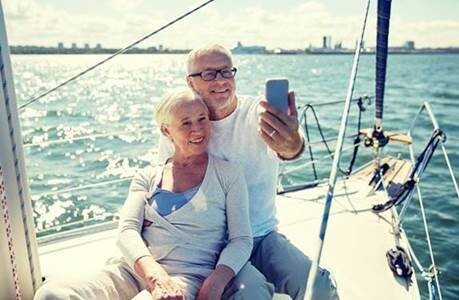 In line with guidance issued by The Pensions Regulator (TPR), the Scheme has a policy of contacting members living overseas in receipt of a pension on a regular basis to check that the personal details we hold for them are correct. This policy is intended to help prevent fraud, and to ensure that pension payments continue to be made only to those individuals who are entitled to them under the Scheme Rules. This process will take place bi-annually. To ensure we hold the correct details for you, please complete this form.